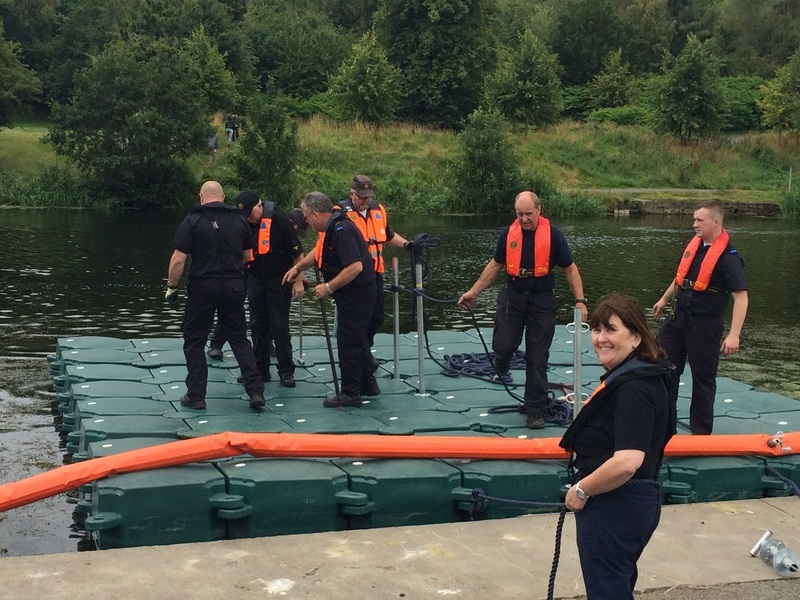 Dublin Civil Defence providing the pontoon for swimmers for the Dublin City Triathlon. Big thanks to the team from Sligo CD for bringing their set of pontoons and assisting with the assembly. Also thanks to Carlow and Laois for the use of their pontoons. DCD are also providing a rescue boat, medical cover, kayaks and medical bikes for the event on Sunday.